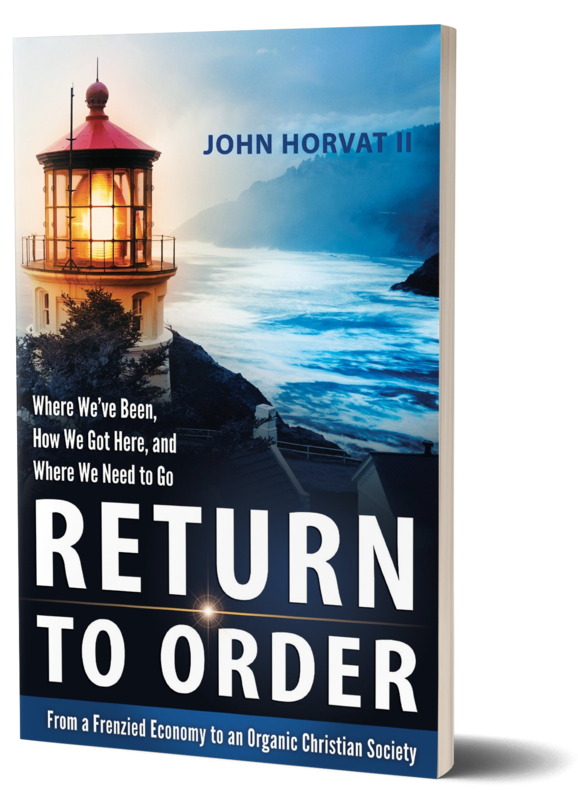 The book shows how we can return to those God-given institutions that naturally regulate society and put it back in balance. This presupposes a practice of virtue and a great love of God inside of an organic Christian society, where people tend towards what is spiritual and sublime. It is not enough to merely seek economic solutions to today’s problems. We must get to the core of the matter by satisfying the spiritual appetites that give meaning to life. The book has won eleven awards and has over 300,000 copies in circulation. Order it today: FREE! Please note: The minimum online donation amount is $2.50. by spreading Return to Order each month!